Some important changes to Known were merged in over the weekend. Most notably, (most) external dependencies are now managed and installed via Composer, and not included natively in the repository itself. This makes updates easier to manage, but it does mean that if you are installing from (or more importantly, upgrading from) the git repository directly, you will need to perform an extra step. This is particularly important if you’re upgrading, and your site is a checkout of the git repo. You can now put your custom plugins in a separate IdnoPlugins.local directory. This works exactly like IdnoPlugins, but gives us a way of nicely separating custom code from package code. File systems now support storeContent() for storing content to a file from a variable in memory. This must be implemented by any class that implements this interface, therefore if you maintain a FileSystem plugin, you’ll need to update your code. SQLite is not widely used, and supporting it introduces a fair amount of technical debt. Support is now deprecated, and will be removed in a future release. The Interplanetary File System (IPFS) is a distributed, peer to peer, file system. It’s pretty cool. So, here’s an experimental plugin that adds backend file system support for this protocol for Known. Currently this functions as a drop in replacement for the Known file storage system, along the same lines as the S3 plugin. It’ll store photos, profile pictures, and any other stored data to IPFS instead of on the local file system, or in Mongo (if you’re using Mongo). You’ll need an IPFS server to talk to. For development I installed go-ipfs, so you can use that, or one of the public ones. Next, copy the IPFS directory to your IdnoPlugins directory, and activate it. Replace the values accordingly, but make sure you keep the [IPFS] section header. At the moment, this is a drop in functional replacement for file storage, and doesn’t go into some of the cooler things you can do with Content-Addressable storage. As pointed out in this ticket, an obvious improvement would be to cache stuff from the image proxy to IPFS (which already takes place), but to directly reference them via their content hash (which doesn’t currently take place), as this should be more efficient. Anyway, that’s future development and would require some core hooks. I’ll get to that next, I’m sure. Anyway, kick the tires and let me know your thoughts. Pull requests more than welcome! 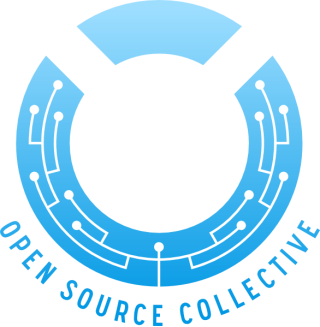 Well, it has been a long time coming, but I’m delighted to report that you can now help out the Known project, in a big way, by joining our OpenCollective! By joining us at OpenCollective, you can help fund the project. Help us keep the lights on, and help us spend more time building the software that you love. So, if you find Known useful, I strongly encourage you to sign up and contribute!